Palm Beach Residence — Atelier & Co. 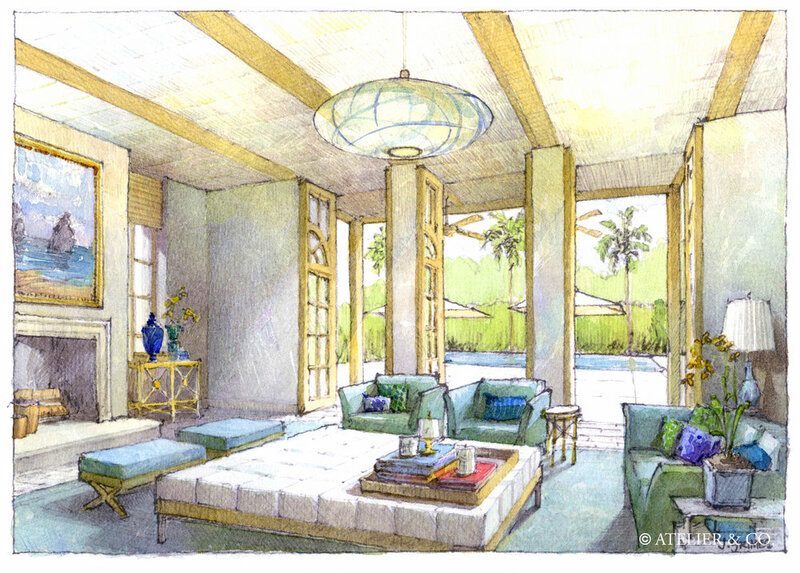 Designed to give the feeling of New York City loft living in Palm Beach, the plan uses garden rooms and a mixture of traditional Palm Beach and Polynesian architectural styles to gain the maximum use of the site. A single large living space was used to divide the property in half creating two long views through the 125 foot deep site. The entry was treated as a garden folly and the garage was moved to the back to create a two-story pool house and parents' suite. At the client's request the materials were primarily native, including cypress floors and coquina limestone.